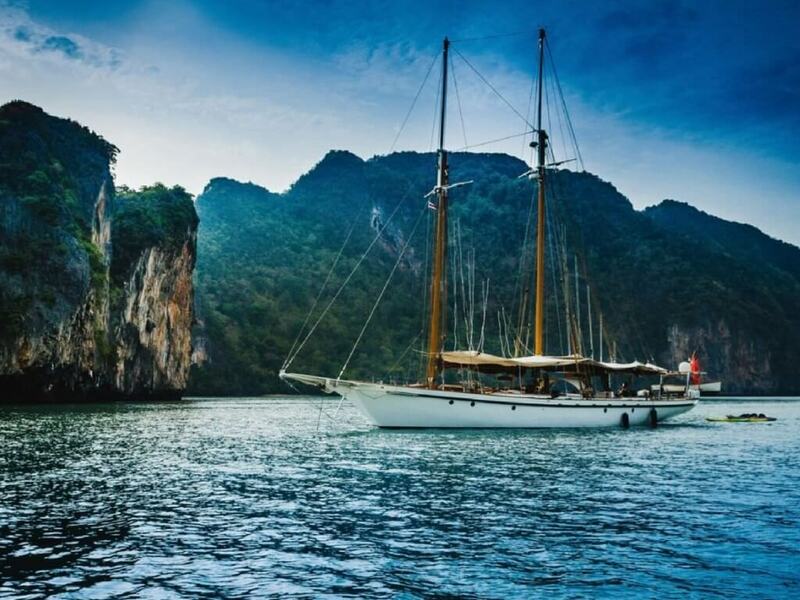 Yachting in Phuket – Thailand’s Biggest Island! Thailand Calling! 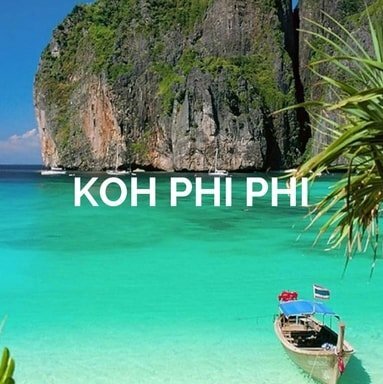 Explore the exotic Thailand adorned with extensive white sand beaches, turquoise waters, snoozing palm trees, towering cliffs and exquisite wonders in a Phuket yacht charter. Being the biggest island of Thailand (21 km wide and 48 km long); Phuket offers the best grounds for cruising on the Andaman waters. Also known as the ‘Pearl of the Andaman Sea’, Phuket presents the perfect amalgamation of magnificent natural beauty, Thai Tradition and modern culture. 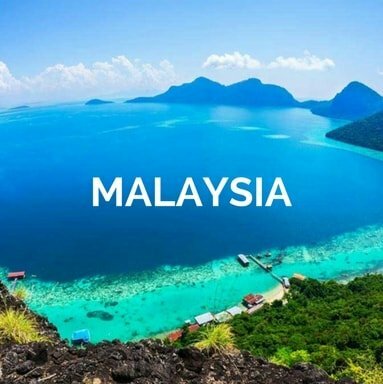 Its 30+ gorgeous beaches, isolated islets, and warm wintry climate are the major attractions that tempt tourists across the globe to enjoy a sailing vacation here. There’s more for you. Phuket has an excellent marine infrastructure with numerous convenient and safe anchorages. 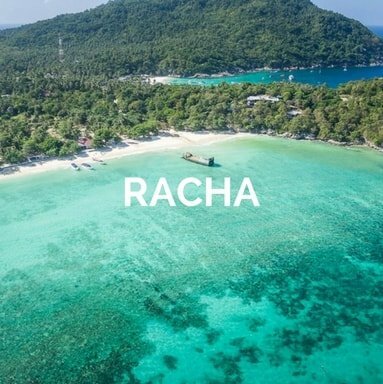 Hence, keeping this as your base, venture away to the spectacular islands nearby including Raya, Racha, Phang Nga Bay, Phi Phi or Similan and enjoy the old-worldly charm. Stroll along the most popular beaches like Karon, Patong, Kata, and Kamala to revel in the atmosphere filled with romance and tranquillity. While exploring these pristine places, don’t forget to engage in exciting water activities like snorkelling, kayaking, diving, etc. So, plan today and embark on an unforgettable journey. Ideal for speed lovers, motor yachts are faster compared to other vessels but with ample comfort and luxury. These vessels are spacious, designed for recreational purposes on board. 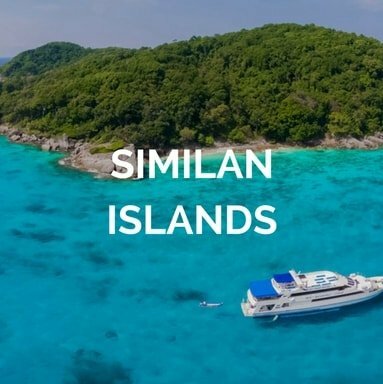 If you wish for sailing around Phuket in a short schedule, these motor yachts are the options to go for. Catamarans are renowned for their size as well as stability on waters. These vessels, balanced on double hulls, are wide and perfect for those travelling in large groups. Guests will find ample storage options for their stuff. Moreover, despite so many people on board, travellers will get their own private space in the luxurious cabins. If you wish to have a romantic and languid sailing experience, go for sailboats. We offer a variety of sailboats from 16 to 50 feet and even 200 feet in length to suit your demands and budget. Sleek and sophisticated, all the vessels are well-maintained and ready to take you across the Phuket shorelines. CREWED OR BAREBOAT? SELECT ANY! 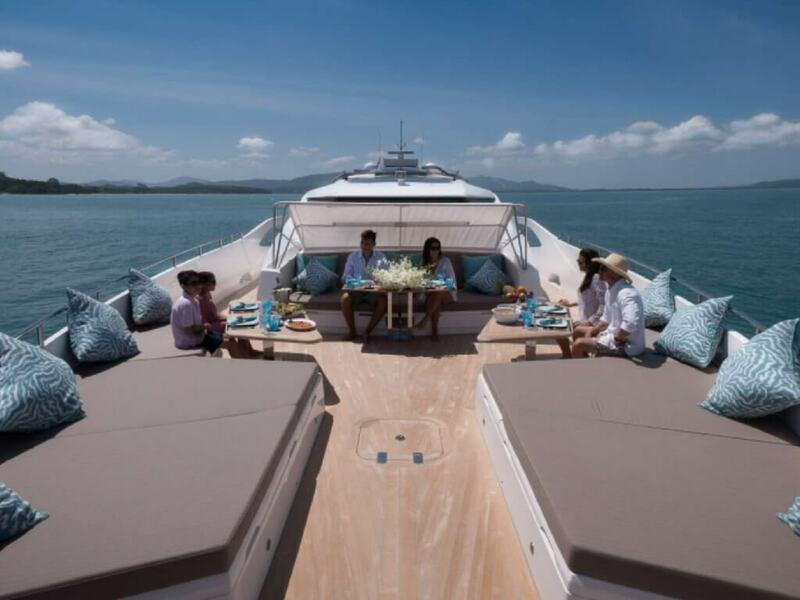 To relish luxury at its best, opt for a crewed Phuket yacht charter. This service will include a complete crew including a captain, chef and stewards. They will be responsible for your itinerary, meal and safety so that you enjoy maximum comfort. Alternatively, you can have our bareboat vessels to steer the wheel at your own will. The best part of chartering a yacht for sailing in Phuket is the customised services available. Besides exquisite cabins with all modern amenities, you will have a chef and his team presenting you delectable cuisines. Relax or dance the night away atop the deck – choice is yours! That’s not all. 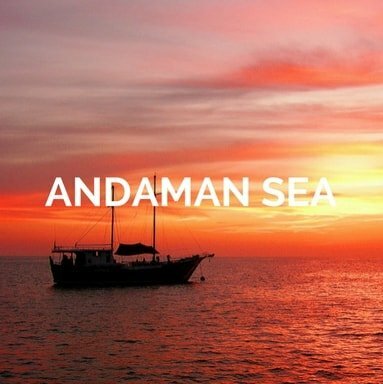 We would be glad to customise the itinerary as per your wish – or, we can guide you as well. For any kind of assistance, contact our team 24*7. One of the biggest decisions to make regarding your charter is whether to opt for crewed or bareboat vessel. Well, a number of factors like duration of cruising, number of guests, skill of the members and their preference go into consideration. In our bareboat charters, you can avail a well-maintained vessel along with a few amenities but no captain or steward on board. All we need from you is a sailing license. On the contrary, you can simply choose to enjoy the ride while a full crew (captain, team members and chef) takes care of the chores and safety. Another major perk of crewed yachts is their extensive knowledge. Who knows? 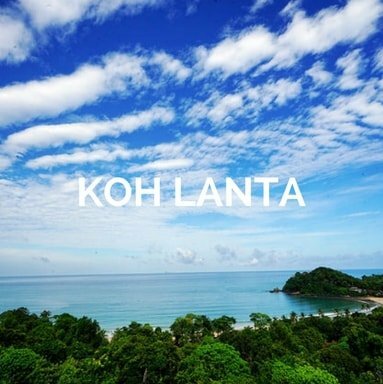 You might end up discovering some unexplored regions around Phuket with their guidance. Aren't you by our solutions for your next boat rental Phuket? Venturing away from Phuket, move towards Phang Nga Bay. The unique features to mesmerise you are the high-rising dramatic cliffs creating the striking landscape. Next, you’ll come across James Bond Island and Koh Panyee. 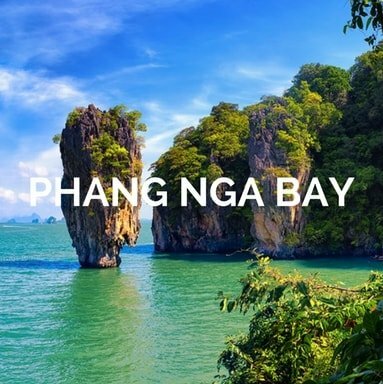 Sailing further, you’ll finally reach Phang Nga Bay. There are hundreds of bays, caves, inlets and small islands. The caves at Koh Hong and the cultural history of Khao Khien are a few other must visits on your sailing route. 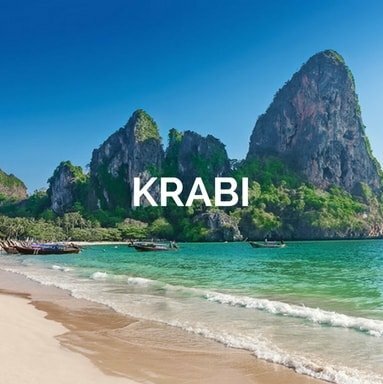 Towards the south is Krabi where you can halt at the beach of Ao Nang bay. Moving a little further, there’s this famous Railay beach decorated by rock walls on either side. Besides these, some other places to visit are – Kon Lanta, Phi Phi Islands, Racha Islands. From here, for sailing around Phuket is only 10 miles away. There are numerous exotic spots to visit while on a Phuket yacht charter. However, decide the final itinerary based on the duration of your vacation. Also, consider your choice of vessel while planning your itinerary. Besides the beauty of the lands, take a look at the activities you can indulge in – snorkelling, diving, kayaking, rock climbing on the cliffs and more. No matter whatever vessel or itinerary you choose, it’s going to be a dream-fulfilling experience for you. However, the ideal time to set your sail is from November to April. With temperature around 30 – 32°C, the weather remains hot and dry. Make sure to book your preferred vessel as the demand is really high during the peak season. Looking for boat rental Phuket? You are in the right place! Before cruising on the foreign waters, you must ensure to make a deal with reliable service providers. Your Boat Holiday has years of experience in this nautical industry. We provide well-equipped, luxuriously designed vessels adhering to all safety standards of clients. Even every member of our crew is trained and skilled to ensure you a smooth sailing experience. All of this enables us to offer 100% client satisfaction, catering to their every need. 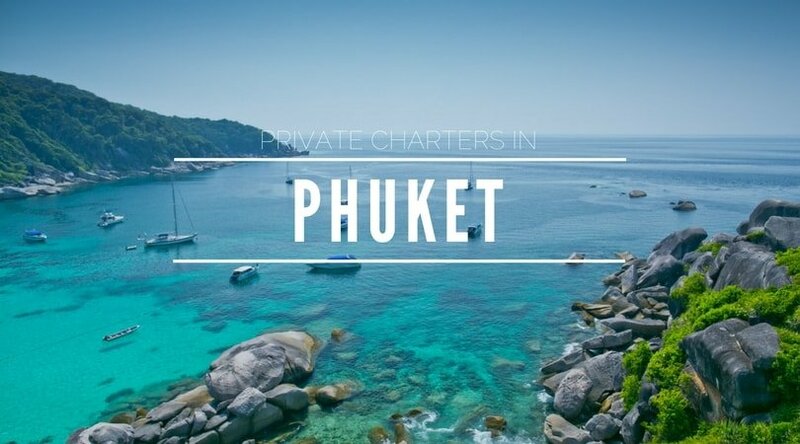 So, don’t delay and book your Phuket yacht charter today. What activities are you planning for your Phuket boat charter?